The 3 screen Cinema came about from a group of local residents passion for the arts and film industry , there goal to bring to the community innovative independent contemporary classic’s and world cinema productions making the venue prominent within the South East of England with special events, guest speakers, workshops and an educational facility. 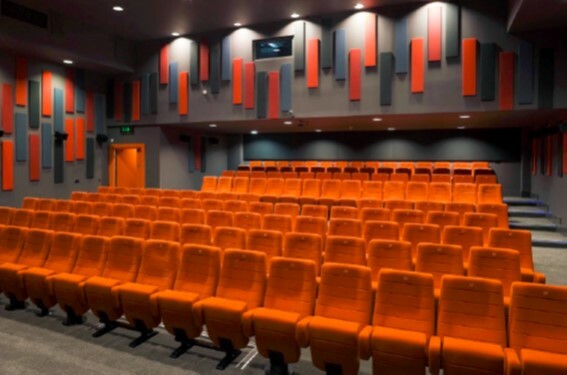 The Cinema has a water cooled simultaneous cooling and heating system serving hot water, cooling, and heating from the 150kw heat Pump. 12—200m closed loop bore holes were installed and connected to the system. The high efficiency of the simultaneous heat pump gives a COP of 6.5 when in heating and cooling mode.